Your One-Stop Partner for Professional Lighting, Audio & LED Visual Systems. 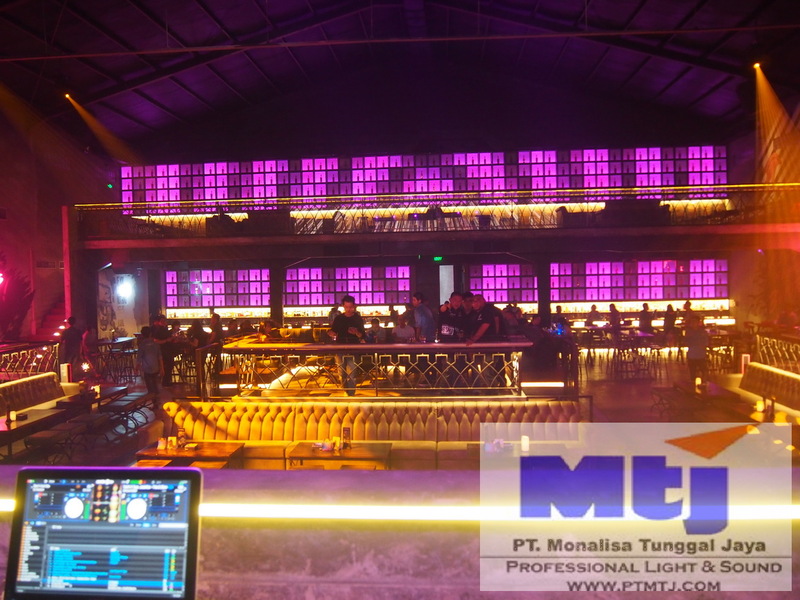 MIRROR Club Seminyak Bali – MARTIN Professional Lighting & AZTEC LED Display Effects is the fresh new Club Entertainment located in Seminyak Bali using the latest technological Lighting effects and LED Visual Displays. 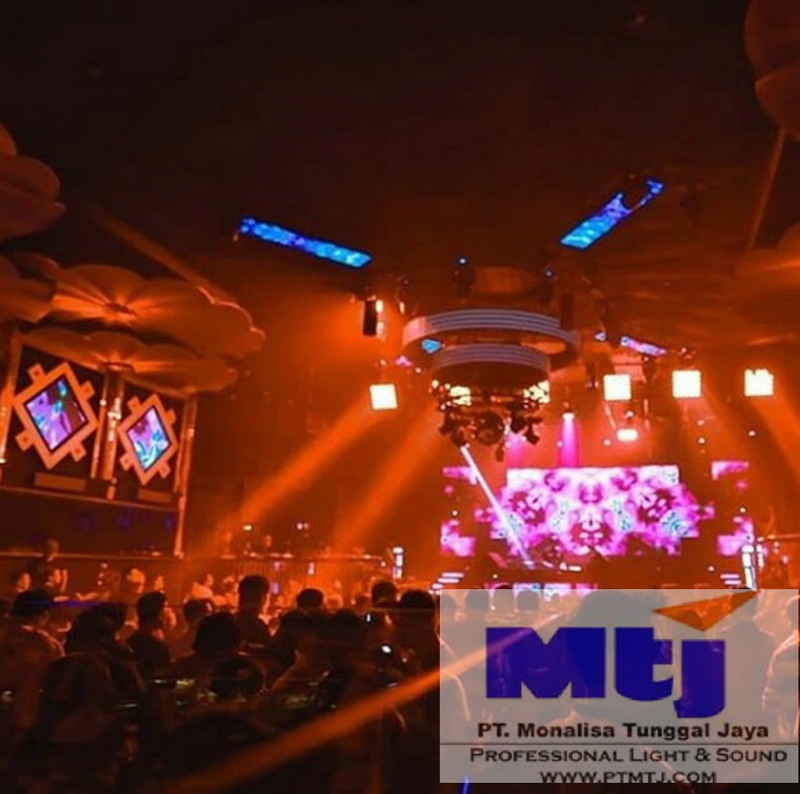 The Owner is looking for the best quality equipment to make the Grand Entertainment and One Stop Club located in Seminyak Bali to entertain their customers. MARTIN Professional Lightings was chosen for the Quality and Best Effects Lights with AZTEC LED Display & MADRIX Effects that has been proven for quality and durability. Perpustakaan Nasional chose PT. MTJ as the Lighting Designer and Solutions Provider for their Multipurpose Hall with AZTEC & MARTIN & GRIVEN Lighting Systems Installation. With the assurance of quality service and good backrgound experience. PT MTJ assuring the best quality products installed with goal of the newly build auditroium will be the anchor new concept approach of the International Standard Concert / Auditorium Hall. 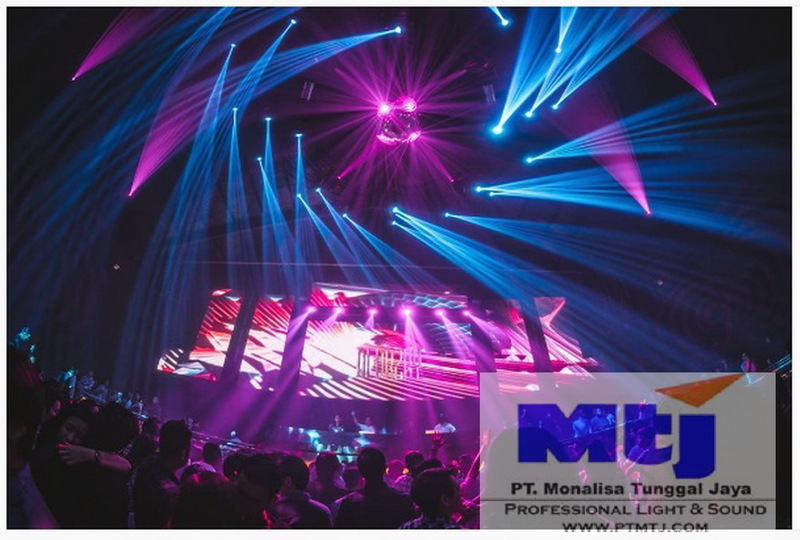 The Pallas – Event Space SCBD – Lighting Ambiance by AZTEC is owner by ALL IN Group, with a long trust and relationship between the company, they entrusted PT MTJ with the Lighting Effects and Ambiance for the new settings of Event Space located at the heart of Jakarta SCBD area. 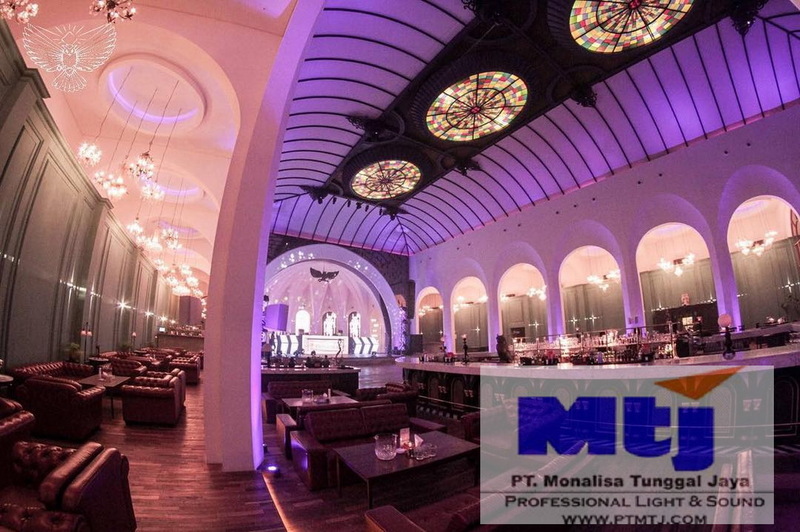 With the cost efficient and budget defined, PT MTJ able to deliver the very best result quality and The Pallas has been a very successful event space due to the ambiance key advantage. De’ Tjolomadoe entrusted CELTO Acoustique from FRANCE for the Multipurpose Sound Systems Installations. 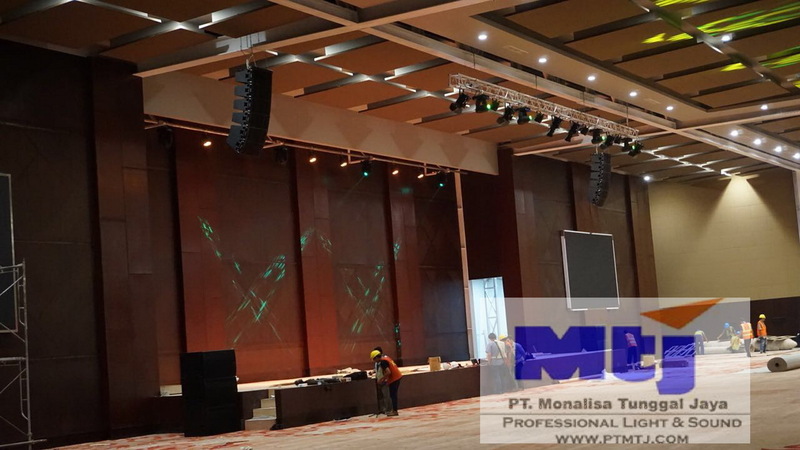 CELTO Acoustique Indonesia by Mr Ferry Soebiantoro of Global Pro Audio assisted the Sound Installations to ensure the Sound Quality and Reliability with a great performance. Upon the first Listening process of Installations, everyone are very surprised with the Sound quality of IWAC deliveries. High performance SPL with Sound Quality Level are very tremendously fills up the room. With almost Flat equalizing delivers perfect performance of the sound from the Low to High Frequencies. IWAC has proven to delivers quality and performance comes with a very efficient pricing. Our company promises to give full satisfaction using the most advance, most practical and most economical means possible in the market without leaving the quality of service and product itself. Its serving industry application needs of “We do not just sell products; but we deliver design solutions”. ALL-IN Group trusted PT MTJ for all their Lighting and Visual equipment support on their venues. PT MTJ always delivers the best quality products and support ensuring the smooth business operations and qualities. 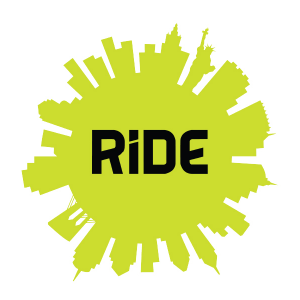 Mr. Adhiet is very happy with the project installation and settings for Lighting & Sound Systems in RIDE Kemang. 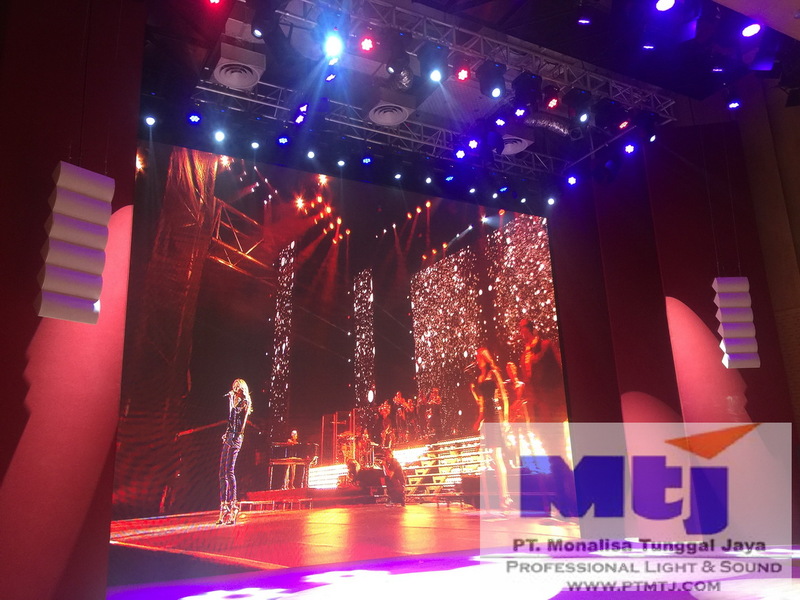 The Light performance is simple but yet elegance with good sound quality installation provided by MTJ Team.